The Yukon and the Northwest Territories form Canada’s wild frontier, with rugged landscapes, immense wilderness and a colourful history of Inuits, traders and gold prospectors. An action-packed escorted holiday of winter activities and northern lights. Immerse yourself in the wild west's rugged landscapes and colourful history. This self-drive holiday combines Alaska's wild beauty and abundant wildlife with the rugged landscapes and immense wilderness of the Yukon. Set out in a guided small group to follow the ruggedly beautiful trails of wild-west pioneers. Combine the frontier city of Yellowknife with remote Blachford Lake Lodge. Experience the best of Canada’s winter wonderland in the Yukon, with its natural beauty and snowy landscapes, the elusive aurora borealis and the gracious hospitality at the Northern Lights Resort & Spa. Discover stunning scenery, fascinating history and wildlife on this self drive. 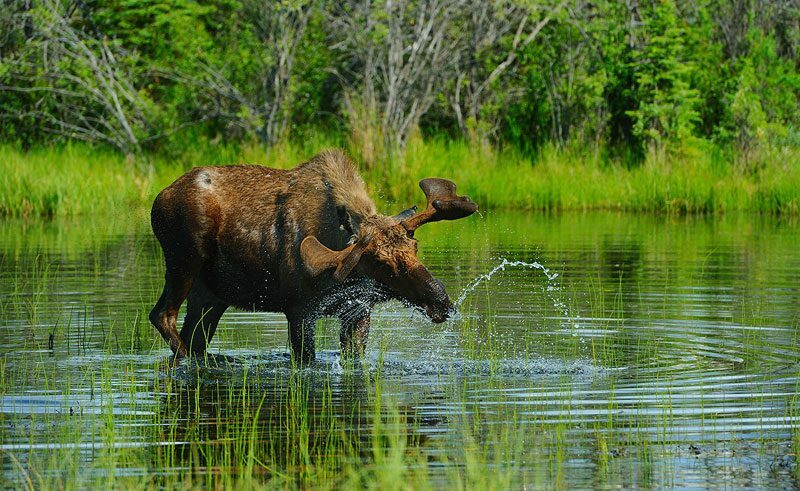 The population is small, the landscape vast and the wildlife prolific – in the Yukon Territory alone moose outnumber humans by nearly 2-1! You may also be lucky enough to see caribou, wolves and grizzly bears throughout both territories, as well as the nimble Dall sheep. Meanwhile the human inhabitants of these remote lands are a fascinating mix of First Nations people, descendants of intrepid pioneers, and adventurers, each with their own fascinating story to share. The gateway cities of Whitehorse in the Yukon and Yellowknife in the Northwest Territories offer all the amenities you would expect, whilst the Yukon’s Dawson City is forever synonymous with the Klondike Gold Rush. All retain a close-community feel and are proud to highlight their unique and colourful past, with historic buildings and fascinating museums providing a useful introduction to the region. More like towns than cities, they are dwarfed by the surrounding wilderness and nearby national parks, mountains, lakes and rivers are all easily accessible; explore countless hiking trails in the summer or visit in winter to experience dog-sledding under a majestic display of the northern lights. 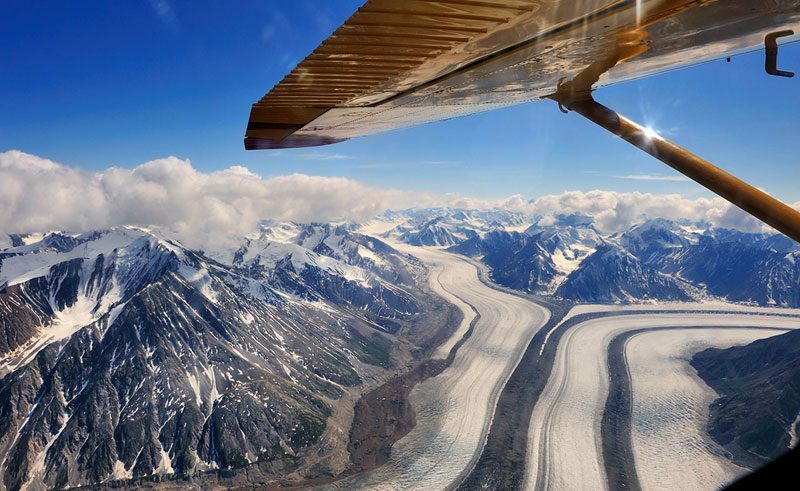 Kluane National Park is larger than Wales, yet occupies just a small corner of the Yukon – such is the scale of this vast wilderness territory. Here you will find Mt Logan, Canada’s highest peak, along with the countless glaciers that form part of the world’s largest non-polar icefield. The unmistakable granite peaks of Tombstone Territorial Park provide a dramatic backdrop for keen hikers, whilst further north Ni’iinlii Njik Territorial Park provides the unique opportunity to witness ice-covered grizzlies fishing for salmon. Across the border the Northwest Territories are fragmented by endless lakes, dominated by the Mackenzie Mountains. The Dempster Highway, Tombstone National Park and Great Slave Lake evoke images of one of the world’s last unspoiled wilderness regions. With uncrowded roads and a warm friendly welcome, here you really can get right off the beaten track and immerse yourself into the wild beauty of Canada. Inconnu Lodge offers its guests a vast variety of activities from heli-hiking, canoeing, kayaking, photography, general relaxation and some of the best fishing in Canada's North. The Explorer Hotel is located in Yellowknife, Canada's diamond capital. Offering 187 non-smoking rooms, each feature complimentary coffee and free Wi-Fi. The Raven Hotel is located in the beautiful community of Haines Junction, in southwest Yukon. Sundog Retreat is an award-winning wilderness property near the Yukon's capital city of Whitehorse. The property boasts beautiful mountain view accommodations with private decks and BBQ's. Located downtown close to the banks of the Yukon River, the 85 room Coast High Country Inn is a comfortable and central base from which to explore this frontier city. Located in the heart of the wilderness, this remote eco-lodge is accessed by a 30-minute floatplane or ski-plane flight from Yellowknife. Offering excellent customer service this hotel enjoys a central location close to attractions, shopping and the historic Yukon River waterfront. Klondike Kate's is located in the heart of Dawson City, home of the famous Klondike Gold Rush. The Tagish Wilderness Lodge is located on Tagish Lake in the Southeast of the Yukon.